Oscilloscopes have been around for a very long time now, and older oscilloscope users will remember the heyday of those analog boat anchors of the '60s and '70s. Many have survived and are still usable if you don't need much bandwidth (and have the means to calibrate them if necessary). I used to scout local hamfests looking for bargains on them. Many techs and engineers cut their teeth on those behemoths. You could learn a lot about design if you poked around inside them, too. In those days, and even up to the past few years, the big bragging rights for oscilloscopes had to do with bandwidth. If you were a ham, a 30-MHz oscilloscope was enough to get a look at the fundamental output frequency of an HF transmitter, for example. But oscilloscope bandwidths started shooting up to lofty heights like 100 MHz, where you could see that fundamental and maybe the 3rd, 4th, or even 5th harmonic. What luxury! But analog oscilloscopes have long since taken a backseat to digital instrumentation. Whereas hobbyists might be satisfied with 100 MHz, professional users need a lot more horsepower. The good news is that here at Teledyne LeCroy, we do that pretty well. A LabMaster 10 Zi-A is a bandwidth beast, hitting 100 GHz with sampling rates up to 240 GS/s. That's state-of-the-art right there, so unless you're working in really rarefied air in terms of frequency, that ought to cover you. 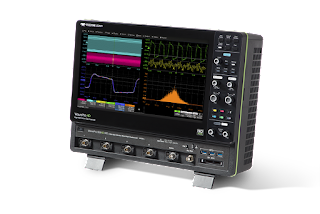 For digital oscilloscopes, bandwidth means a lot but it isn't the whole story. For one thing, with all the computing power built into today's instruments, there's things like triggering options and built-in measurement capabilities to consider. 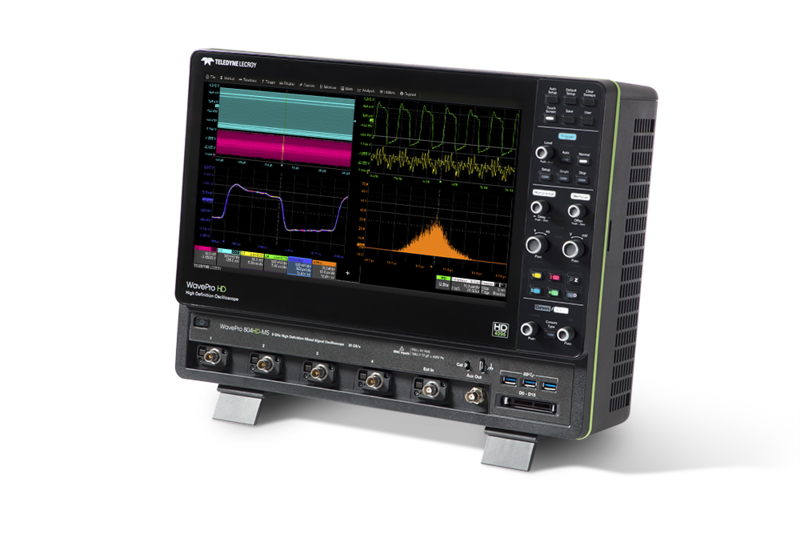 All of our oscilloscopes, even the smaller portable units like the T3DSO1000 and T3DSO2000 series, have plenty to offer in that respect. But a bigger issue is vertical resolution. Even the earliest digital scopes were a huge improvement over the old analog types in terms of vertical measurement accuracy. Having said that, those early digital scopes were built using 6-bit analog-to-digital converters in the front end. After a few years, 6-bit ADCs gave way to 8-bit ADCs. Now, ADCs have resolution of 2 to the Nth bit. So for a 6-bit scope, that meant 64 discrete levels of vertical quantization. When they moved up to 8-bit ADCs, you got a 4X boost in vertical precision with 256 discrete levels. That's what you get from most oscilloscopes you can buy today. In most applications, it's pretty good. For the most part, oscilloscopes have relied on 8-bit ADCs for decades now. In the interim, oscilloscope makers have tried to mimic higher levels of vertical resolution with software-based workarounds, including averaging of multiple acquisitions and what they've called either "enhanced resolution" or "high resolution" modes. Both of these techniques have their places, but they come with limitations and/or tradeoffs. Meanwhile, ADC technology hasn't exactly stood still. If you check with Mouser Electronics, you'll find ADCs with resolutions up to 32 bits and sampling rates up to 4 Gsamples/s. Here at Teledyne LeCroy, we thought, well, what if we stepped up our front-end architecture to use 12-bit ADCs? It took a fair bit of engineering know-how to make that work, but the fruit of that effort can be had today in our WavePro HD 12-bit high-resolution oscilloscopes (Figure 1). Remembering that ADCs have resolution of 2 to the Nth bit, a 12-bit front end means 4096 discrete levels of vertical quantization. That's 16X better than 8-bit instruments. What does that mean to users exactly? Basically, it means that you're able to see a lot more signal detail. For example, Figure 2 is a representation of how 8-bit, 10-bit, and 12-bit ADCs (blue, red, and green, respectively, at upper right) perform quantization of an analog waveform. This figure is a magnified view of a noise-free, ideal waveform. Here we can see the error created by sampling this waveform with different resolutions. At this extreme zoom setting, the 8-bit converter produces relatively large errors that diminish to a relatively small error with the 12-bit converter. It is important to note that this is an ideal, noise-free waveform, and that it is magnified to show the error. That's the difference those 4 bits of ADC resolution make when comparing an 8-bit ADC to a 12-bit ADC. Sure, we'll continue to see oscilloscope bandwidths rise in the future, but what is driving better instruments today is higher vertical resolution that's achieved purely in the oscilloscope's hardware architecture. Which Windowing Function to Use in FFTs?